Does your dream kitchen or bathroom look like this? 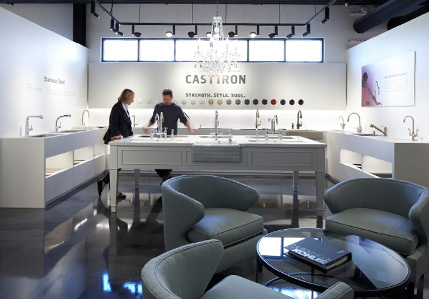 The Kitchen and Bath Gallery showrooms are the perfect place to get inspired. Beautifully styled kitchen and bath vignettes that will help you to see the possibilities for your own project. 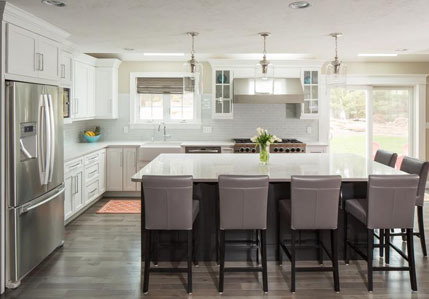 Each uses examples of the cabinetry, countertop, tile and plumbing products that we have to offer. We know you're bound to fall in love with one of them! Kitchen & Bath Gallery, Inc.
MA, RI, CT Kitchen and Bathroom Designers / Suppliers of Plumbing & Fixtures, Tile, Cabinetry and more!